-2 of my own... that you are mine (gloat is over the rest of the male population.) I haven't seen that Nat'l Amat. yet but I'll be interested to see the new constitution. Its gratifying to know that I have been nominated by sever editors for Executive Judge. I'd really like the office very much. I know I'll be able to handle it okay. 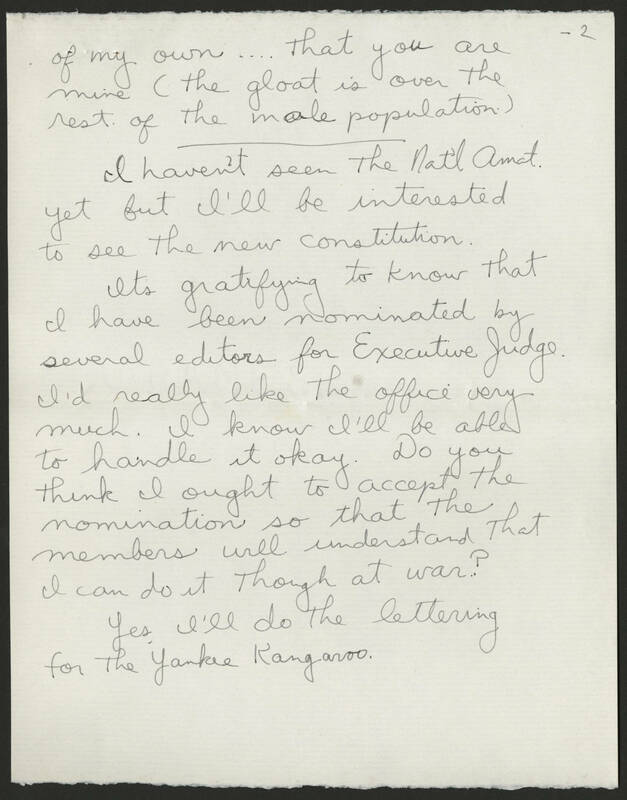 Do you think I ought to accept the nomination so that the members will understand that I can do it though at war? Yes, I'll do that lettering for the Yankee Kangaroo.